Fall time is just around the corner! 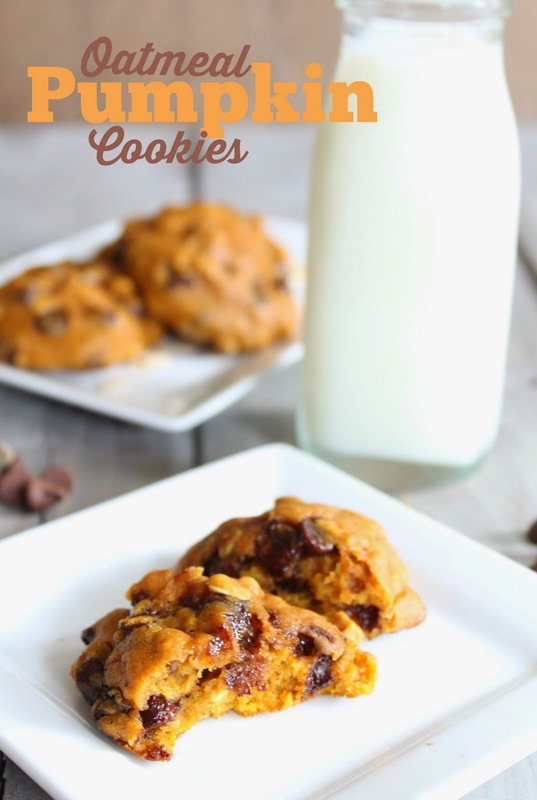 There is no better way to celebrate than with these Oatmeal Pumpkin Cookies! They really taste amazing and are so easy to make! Directions:Combine the pumpkin, sugar, vegetable oil, and egg. In a separate bowl, stir together flour, baking powder, baking soda, ground cinnamon, and salt. Add flour mixture to pumpkin mixture and mix well. Add vanilla, chocolate chips, and oats and mix until all combined. You had me at cookie dough! These look like lots of fun and yummy! i can't but imagine wat it feels lyk!